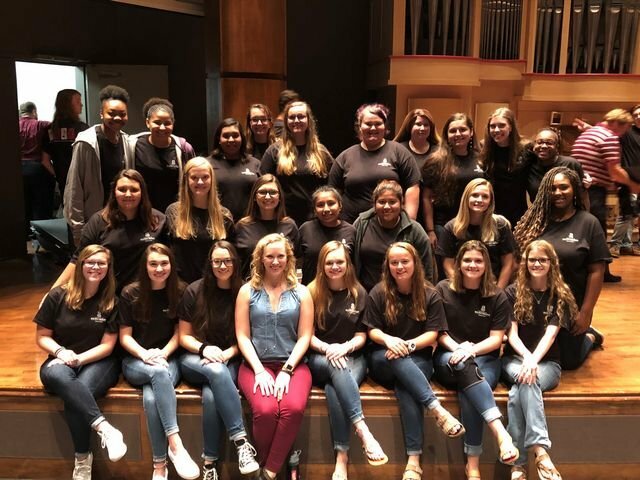 Twenty-four young ladies from Mid-Carolina High School, with other female students from throughout the state, participated in The USC School of Music’s “Girl Power” Women’s Vocal Clinic. They began rehearsal at 9:30 a.m., had group private lessons and time in sections with Dr. Alicia Walker (one of Ms. Bridges’ former teachers), and performed a concert! All in one day! To say we’re proud is an understatement! Way to go ladies! Girl Power!! !